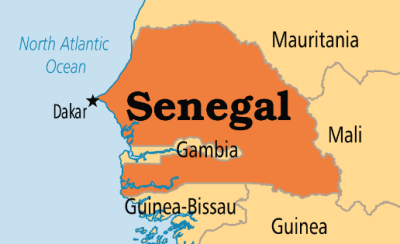 The AP is reporting that 11 men have been arrested in the West African nation of Senegal, for attending a gay wedding. Boukhari Ndiaye said the arrested were among 20 people attending a celebration of a gay marriage at a school in the town about 200 kilometers southeast of the capital, Dakar, on Friday. He said the 11 remain at the police station. Homosexual acts are criminalized in at least 34 African countries, including Senegal, where they are punishable by up to five years prison and fines of up to $2,500. In 2013, President Obama visited Senegal and spoke out about the country’s criminalization of homosexuality. President Mack Sall of Senegal replied: “We are still not ready to decriminalize homosexuality. I’ve already said it in the past. We’re still not ready to change the law. This does not mean that we are all homophobic. Homosexual acts are punishable by up to five years prison and fines of up to $2,500 in Senegal.